"e;A storybook ideal for launching the lunar year. 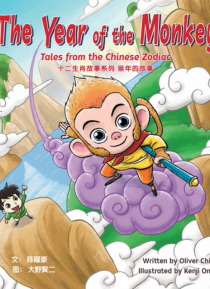 "e;Books Inc., San Francisco2016 is the Year of the Monkey, the eleventh adventure in the popular annual series Tales from the Chinese Zodiac.Max is the son of the legendary Monkey King. Succeeding at school is not easy, but luckily playing in the gym is! Can Max forge his own claim to fame?Empowering themes of self-discovery and cultural e… xchange, plus charismatic characters, have proven appeal with children, parents, and elementary educators.Oliver Chin has written JulieBlack Belt and more books.Kenji Ono is a storyboard artist at DreamWorks Animation.